If you want to be the proud owner of the best wheeled trimmer, currently available in the UK market, then the McCulloch MWT420, is certainly the one for you. This is the choice of the professionals, and as you can see from the images, this one certainly looks the part. 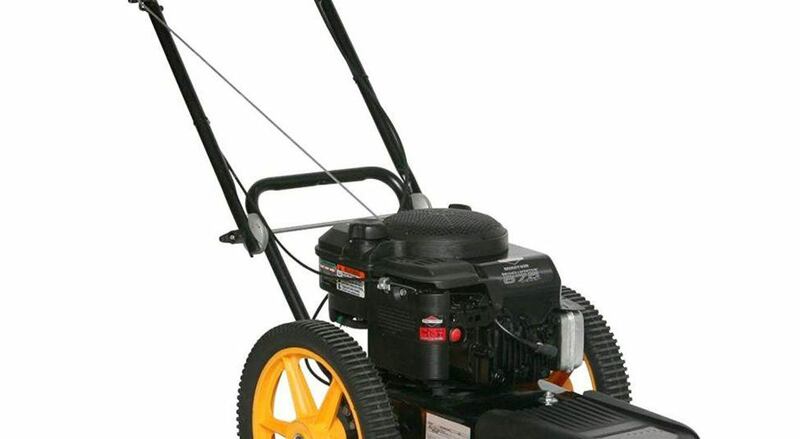 It comes complete with a Briggs & Stratton 675 cc engine, that knocks out a full 190 cc. Those who have bought it, love it and they have all rated this as a 5 star product. This is also a great choice for anyone with a large garden. It works well on slopes as well. Just be aware that this is a solid machine, and needs some effort to push it around. That said it will take out just about anything that gets in its way. It also works really well on scrub, though you will need to change the 3.5 mm cable that is provided, to a heavier duty one. If you have large patches of land to clear quickly, then this is a good choice.​ A few buyers mentioned larger gardens, and a few mentioned larger allotments and even orchards. Buyers also used this one to quickly clear rough ground. It is also worth noting that the wheels are not driven by the engine. Many people buy these believing that, the wheels are turned by the engine, through some form of crankshaft. That is not the case with most petrol wheeled strimmers. The wheels are stand alone, and quite large, and the only way they move, is when you push the handlebars, and move it manually. This purchase is not cheap at around £420 for this wheeled trimmer. Buyers love it though and that is why it gets a 98% satisfaction rating. This model will just about get through anything that gets in its way from long grass, to weeds to scrub. Great for clearing rough ground and large gardens . 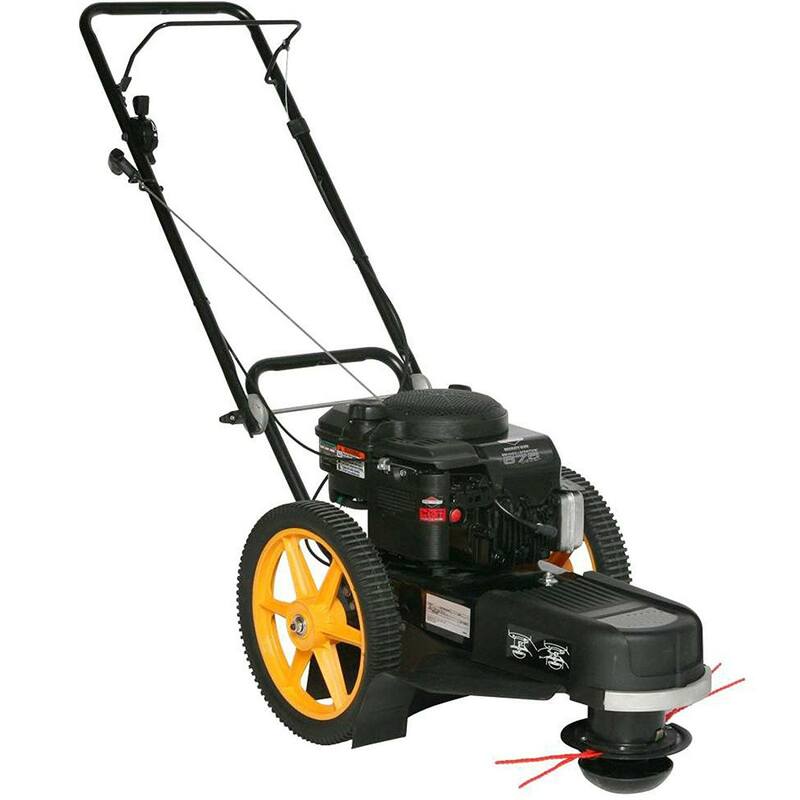 Strimmer line is available for this and uses Flymo 532-18-22-19 part number. You can search this online and find the best value for money.